Scott R. Garrigus' NewTechReview - Free new technology news, reviews, tips and techniques! Start putting the new tech pizzazz back into your Inbox with our monthly e-mail newsletter! Every issue is FREE, fun, and definitely informative. Each monthly issue provides free new technology news, reviews, tips and techniques. As an added bonus, you get access to newsletter back issues so you don't have to miss all the great information that has already been published. You also get the chance to win free products from brand-name manufacturers! 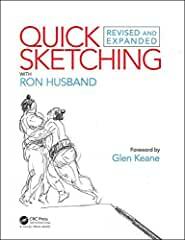 CRC Press has published Quick Sketching with Ron Husband: Revised and Expanded, 2nd Edition. Quick Sketching with Ron Husband offers instruction to quick sketching and all its techniques. From observing positive and negative space and learning to recognize simple shapes in complex forms to action analysis and using line of action, this Disney legend teaches you how to sketch using all these components, and how to do it in a matter of seconds. 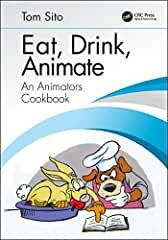 CRC Press has published Eat, Drink, Animate: An Animators Cookbook, 1st Edition. Tom Sito (the legendary animator behind Who Framed Roger Rabbit, Beauty and the Beast, and other classic works) brings together the perfect fusion of culinary skill and animation in his cookbook, Eat, Drink, Animate: An Animator's Cookbook. Buses, trucks and heavy construction equipment often experience battery problems from sitting unused or show a gradual deterioration of battery quality over time as sulfation crystals form on the battery plates preventing maximum power and shortening battery life. 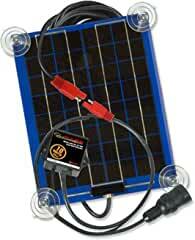 The new 10-Watt SP-10, Solar Pulse Solar Charger Maintainer solves these problems by eliminating jump starts, increasing battery power and extending battery life returning older batteries to like new condition. Western Digital Corp. (NASDAQ: WDC), a global data infrastructure leader, is accelerating the NVMe transition of value-PC storage by adding an NVMe™ model to its award-winning WD Blue® solid state drive (SSD) portfolio, the WD Blue SN500 NVMe SSD. The new SSD delivers three times the performance of its SATA counterpart while maintaining the reliability the WD Blue product line is known for. For content creators and PC enthusiasts, the WD Blue SN500 NVMe SSD is optimized for multitasking and resource-heavy applications, providing near-instant access to files and programs. New Pyrex Deep, a collection of the deepest baking dishes in the glassware category, makes it easy to unleash creativity in the kitchen and share more with friends and family. 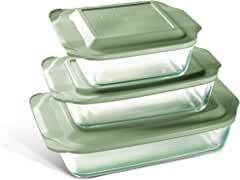 Holding up to 50 percent more than current glass bakeware, Pyrex Deep baking dishes give home cooks more room for yummy goodness – to fit more fillings, make more room for roasts and have extra space for sauces. Pyrex Deep bakeware can take crowd-pleasing creations and favorite recipes to new and unprecedented heights – from adding extra layers to your famous lasagna and roasting a large chicken with farmers market vegetables, to piling cobbler high with fresh summer peaches and filling thick holiday brownies with a creamy peppermint center. That means more unique possibilities, more delicious meals and more bragging rights at your next potluck. Seeing is believing. 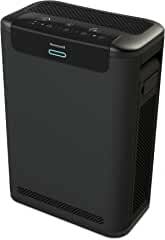 If you are looking for an easy-to-use, best-in-class air purifier that shows how effectively it is cleaning the air, then look no further than the Honeywell Professional Series™ HEPA Air Purifier. Honeywell Air Purifiers are the number one brand recommended by allergists. This model delivers exceptional performance for particle removal and odor/VOC reduction and is the premier product in the Honeywell Air Purifier line. 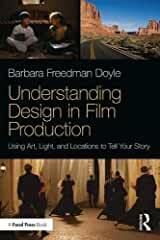 Focal Press has published Understanding Design in Film Production: Using Art, Light & Locations to Tell Your Story, 1st Edition. Great visual storytelling is possible on a minimal budget, but you have to spend a lot of energy thinking and planning.In Understanding Design in Film Production, author Barbara Freedman Doyle demonstrates how to use production design, cinematography, lighting, and locations to create an effective and compelling visual story, even on the tightest of budgets. Based on the articles and popular podcast Dirty John from Los Angeles Times reporter Christopher Goffard, comes Bravo's DIRTY JOHN, a "slickly addictive" (TV Guide Magazine) true crime series. 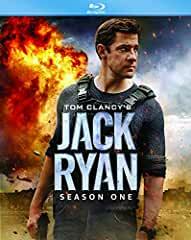 The critically acclaimed series follows Debra Newell (Connie Britton) as she falls for the seemingly perfect man (Eric Bana) whose charismatic persona holds a terrifying past that threatens to destroy her family. Now fans everywhere can own all thrilling eight episodes of DIRTY JOHN arriving on DVD April 9, 2019 from Universal Pictures Home Entertainment. 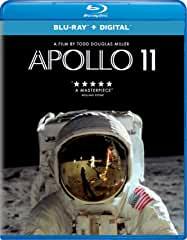 Helmed as "the most perfect movie that will ever be made about its subject" (Joshua Rothkopf, Time Out New York), Apollo 11 takes the public behind-the-scenes of the groundbreaking NASA space mission and first lunar landing. 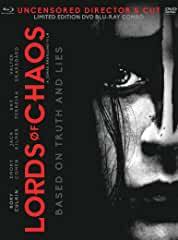 Showcasing exquisite never-before-seen audio and video footage of key historical events and remarkable moments of camaraderie, the riveting documentary has received five stars from critics (David Fear, Rolling Stone) and will be available on Blu-ray, DVD, Digital, and via the digital movie app MOVIES ANYWHERE, as well as On Demand on May 14, 2019 from NEON and Universal Pictures Home Entertainment. 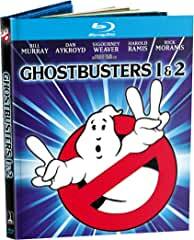 Family is worth fighting for in the inspiring underdog story, Fighting With My Family, arriving on Digital April 30, 2019 and on Blu-ray, DVD and On Demand May 14, 2019 from Metro Goldwyn Mayer Pictures (MGM) and Universal Pictures Home Entertainment. Set in the competitive world of wrestling, Fighting With My Family is "a wonderful film about finding strength through family and believing in yourself" (Erik Davis, Fandango), brought to life with an electric performance from Florence Pugh (Lady Macbeth), and supported by hilarious and heartfelt performances from Lena Headey ("Game of Thrones"), Jack Lowden (Mary Queen of Scots), Nick Frost (Shaun of the Dead), Vince Vaughn (Swingers), and Dwayne Johnson (Fast and Furious franchise), who also produced the film. 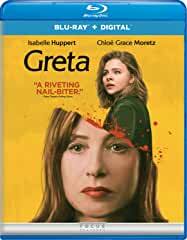 Not everything is what it seems in the compulsive and "haunting" (Amy Taubin, Film Comment) psychological thriller, GRETA, arriving on Digital and the digital movie app MOVIES ANYWHERE on May 14, 2019, and on Blu-ray™, DVD and On Demand on May 28, 2019, from Universal Pictures Home Entertainment. Filled with stellar performances and gripping action, the "irresistible" (Peter Travers, Rolling Stone) and "truly terrifying" (Pete Hammond, Deadline) film follows a kind and caring young woman who befriends a widow with a dark secret. From Academy Award®-winning director Neil Jordan (The Crying Game), the heart-racing suspense thriller stars Academy Award® nominee Isabelle Huppert (Elle, La Cérémonie) and Chloë Grace Moretz (The Miseducation of Cameron Post, Neighbors 2) alongside actress Maika Monroe (It Follows, Independence Day: Resurgence).